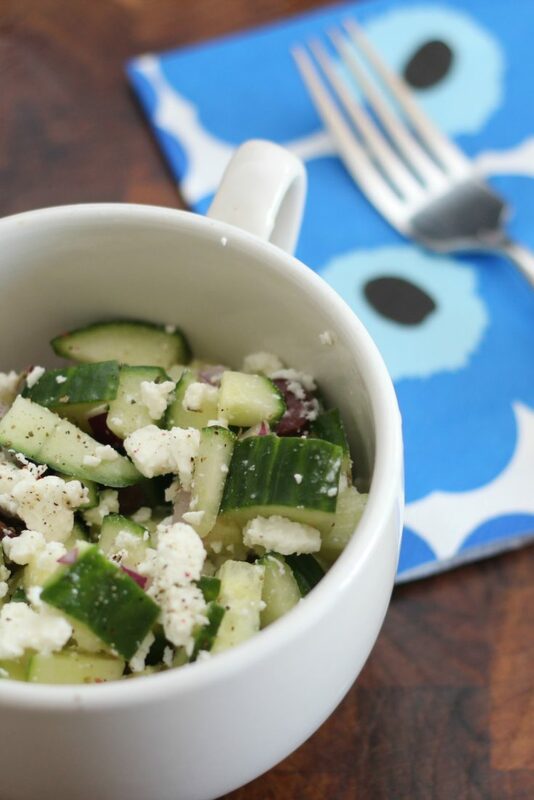 This deliciously simple cucumber, olive and feta salad is light and refreshing. This salad makes for a perfect lunch or side to a juicy steak. There’s something about eating fresh salads that gives me all the summertime feels. Salads are the perfect accompaniment to a juicy steak or some grilled chicken. This salad doesn’t contain leafy greens, but instead the base is a crisp English cucumber. I feel silly giving you instructions on how to make this salad. I mean all you do is chop up the ingredients, throw some herbs in, and splash with champagne vinegar and crumble some sheep’s milk feta on top. Don’t forget to add the freshly ground black pepper (I’m secretly obsessed with fancy peppers.) Done and done. Chop up vegetables and olives. Toss with herbs and champagne vinegar. Crumble feta over top and sprinkle with pepper. Serve cold. Feel like you need some meat in this salad? Add some chicken! 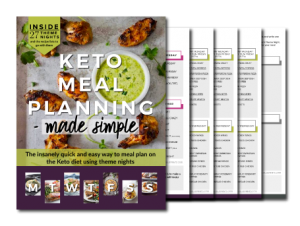 Linked to these fun parties! I don’t even cook and I seldom pin recipes but this one jumped out at me as EASY and some of my favorite flavors. 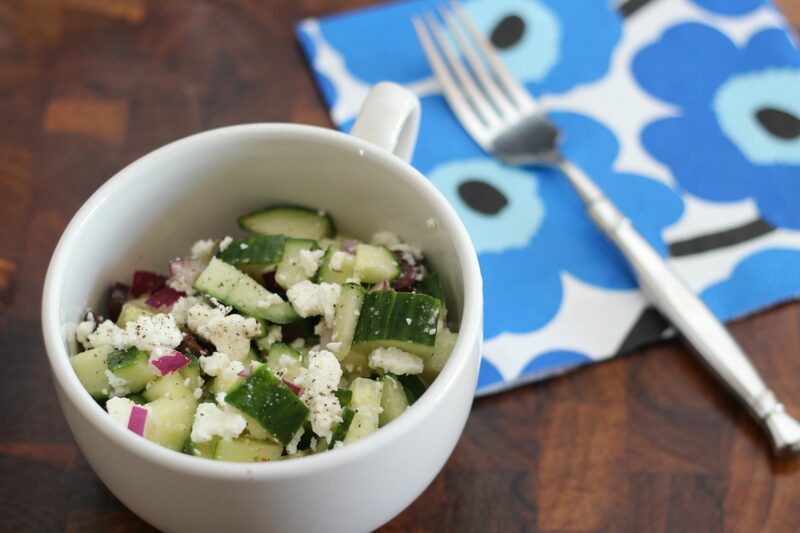 Who doesn’t love feta? 😀 Visitng via Tutorials and Tips Link Party. Very glad I stopped by. 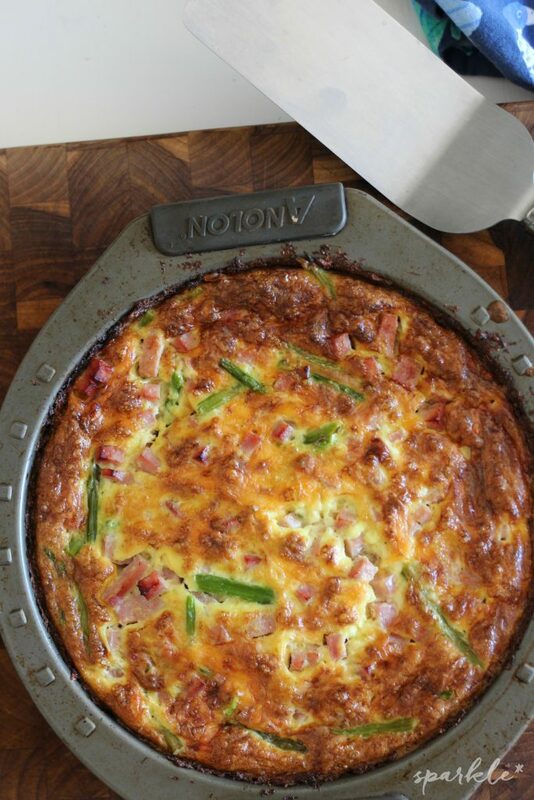 I am always looking for low carb recipes and this looks amazing. Pinning and making this weekend. Thanks for sharing your wonderful posts at Over The Moon Party. I love the simplicity of this dish; makes a perfect quick side salad, too, that will go with almost any main course. Thanks for sharing!